I did the funnest thing tonight. One of my author friends on Facebook told us about a contest that is starting tomorrow which involves writing a poem using only the titles of the books you currently have on your book shelf and then taking a picture of said books as proof that you only used titles you had on hand. It was great fun until it got to time for taking a picture of the books I used. I incorporated 27 titles in my diddy and it was hard as hell to take a picture of all of them at once. 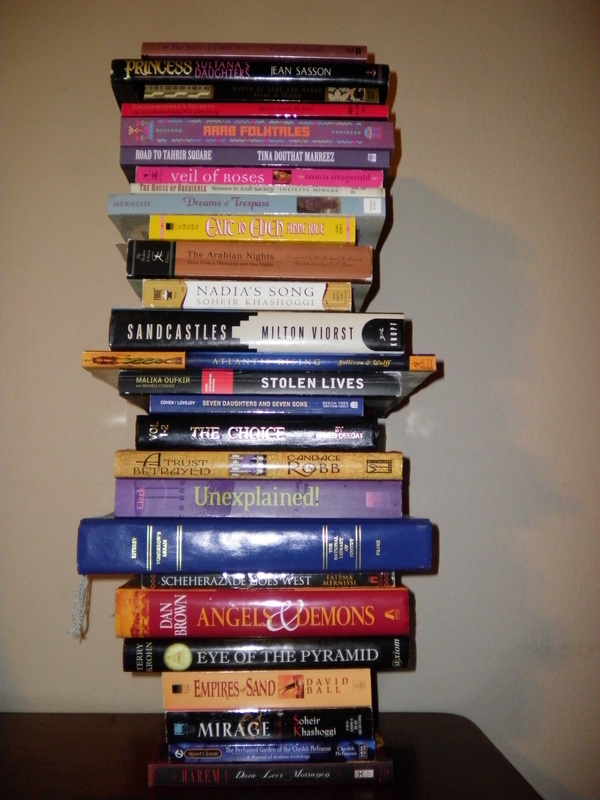 First I tried making a tower of them, but all the titles wouldn’t show up or there was a glare. Then I put them in the shape of a upside down pyramid (which looked cool) but still couldn’t get all the titles to be readable. Finally I put them all back in a row on my bookshelf and took the picture. Simplest ended up being the best. So an hour and much cursing later, I finally got a decent shot of the books to send with my poem.